Spacious and uniquely decorated, the deluxe Hotel in India- Mumbai (Bombay) have king size rooms in The captial city. The King size room has a sofa bed and small seating area; rooms with two double beds have additional space for a rollaway. Each has a spacious terrace for a breath of crisp morning air and the aroma of freshness nearby. The furnishings are crafted from eco-friendly materials indigenous to the surrounding area and are accented by traditional designs carefully reproduced in custom fabrics. 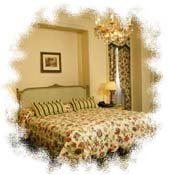 Staying at INDIA's Deluxe Hotels is to get value for your money at Mumbai Deluxe Hotels in Bombay. Our Lotus Suites Deluxe hotel is near International Airport, Great value Deluxe hotel in Mumbai at proximity of 2 km from airport with online reservation facilities with internet discount. Enjoy room service all throughout the Day and Night.